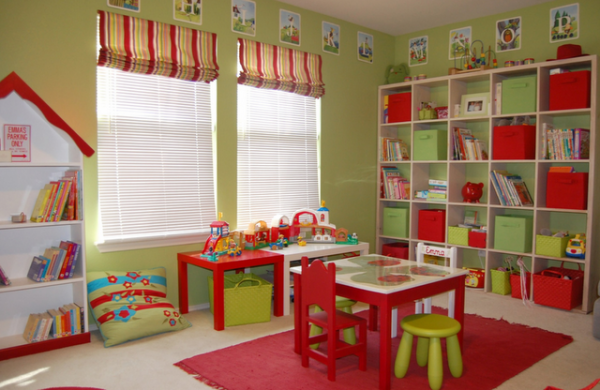 Thinking of redoing your playroom? 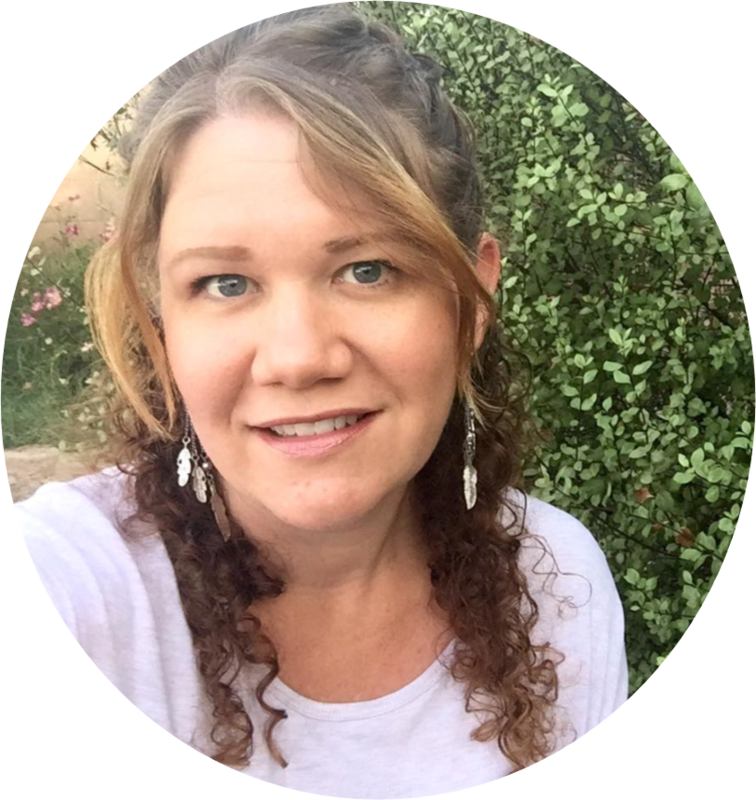 Here is a list of my 5 "must haves" in a perfect playroom. 1. Storage. And this room has a ton of it. You must have a place to store all those toys and supplies or they spill over into all the other rooms of the house. 2. Workspace/Playspace. 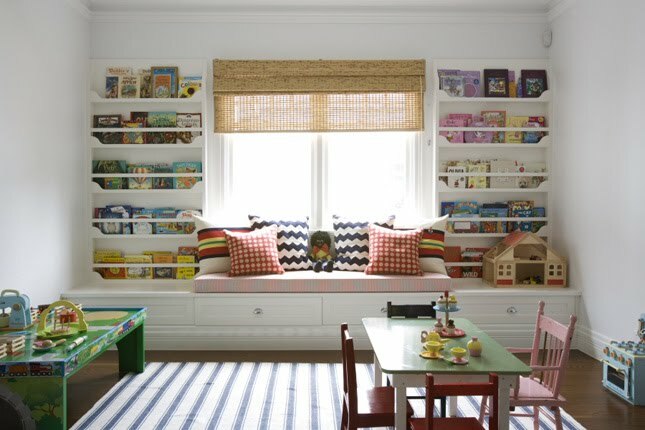 Not only does this room have the table and chairs, but the storage cabinets are lower so they can function as play space as well. 3. Comfortable Seating. A must have for young and older kids. 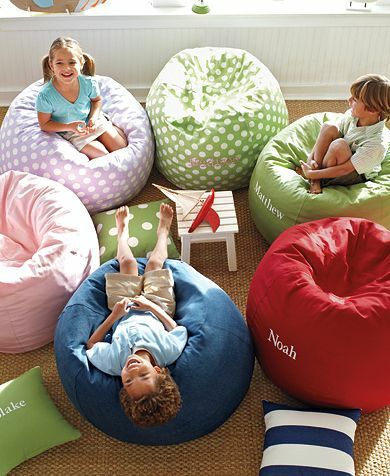 The perfect place for watching and movie, reading a book, or chatting with friends. 4. Library. 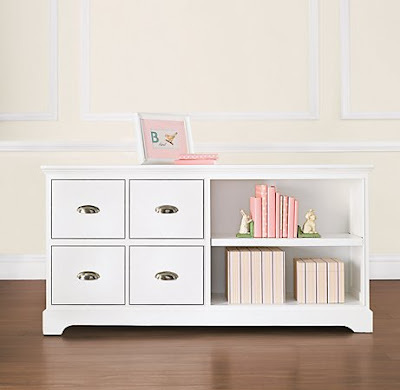 Whether big or small, every child needs a place to store their books. Choose a bookshelf, or create a vertical storage system. Either way, it's a must! 5. Artwork Display. 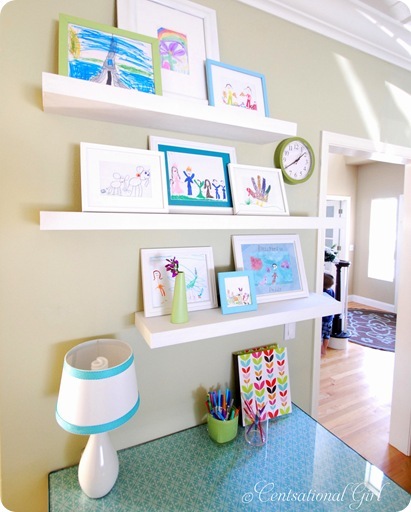 Use frames and shelving to display artwork by your children. 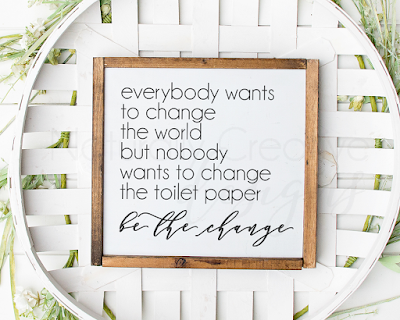 Display it in a prominant place for all to see and admire. 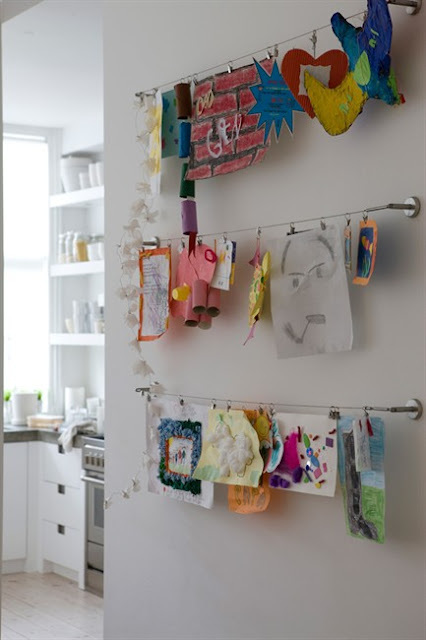 Or use wire curtain mounts to create a custom artwork display. 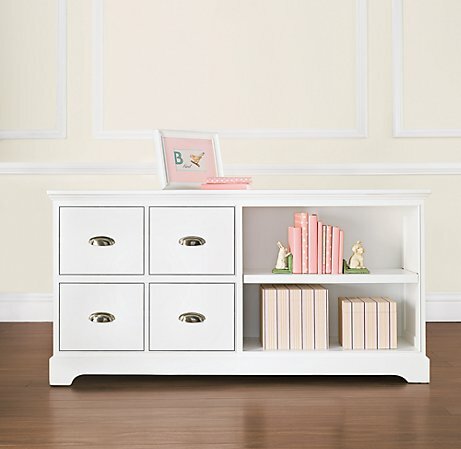 What is on your MUST HAVE list for your ideal playroom!? Storage that looks nice and hides the mess. I agree that comfortable seating is a must. I also think that easy to clean surfaces is another must with kids too.